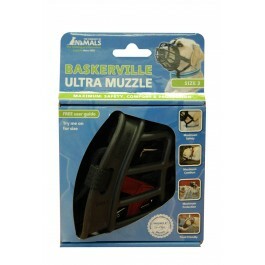 The BASKERVILLE Ultra Muzzle has ergonomically designed safety strapping ensures the muzzle will always remain securely in place, and features two additional points of secure attachment. 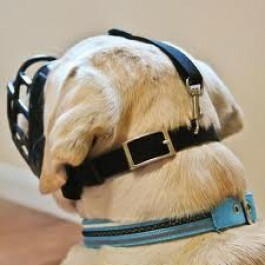 The loop at the bottom is designed to attach to your dog’s regular collar and there is an optional, removable over-head safety strap. 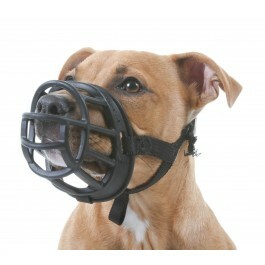 The Ultra Muzzle also has a secure metal buckle with pre-holed webbing, to ensure it is fully adjustable, quick and easy to fit. 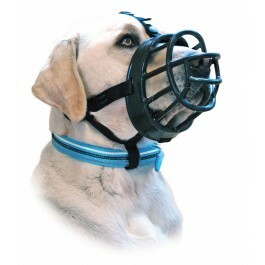 It is also 'treat friendly' allowing you to reward your dog whilst wearing it, essential during behaviour modification programmes.